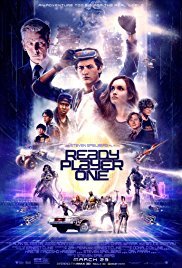 I came to Ready Player One not having read the book, and I found it to be a thoroughly enjoyable movie. The pacing was superb, and the teen romance element never took over from the main plot. As a bit of a geek myself, I loved all the pop culture references. In fact, that contributed a great deal to the appeal of the movie. However, unlike some reviewers whose comments I've seen, I didn't think that was all it had to offer. At the end of the day, it is also a great a sci-fi adventure story, following the classic tale of 'freedom fighters take on the evil corporation', and the blend of OASIS CGI and real-world action was nicely balanced. The cast all did well, with a special shout-out to Mark Rylance. I confess, I am a huge Mark Rylance fan anyway, but this was a perfect role for him; it suited him to a T. This is definitely a film I could rewatch multiple times and still enjoy. Therefore, it's a solid 4.5 stars from me.